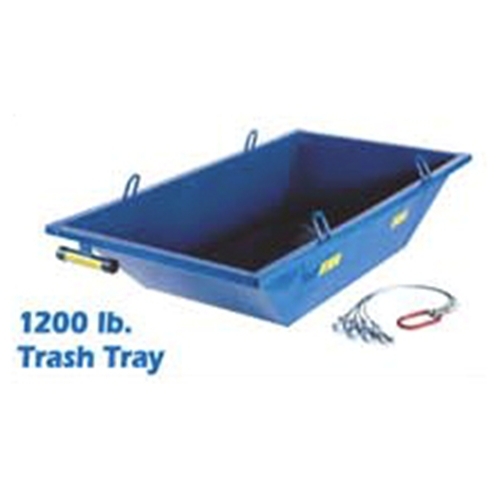 Large Trash Tray, includes cable assembly: Ideal for tear-off debris. Load capacity of 1200 lbs., weighing 160 lbs. with overall dimensions of 90in W x 40in D x 13in H.